When you need CNC Swiss screw machined components, turn to a partner with a proven record of consistent quality and on-time delivery. AccuRounds specializes in manufacturing components used in applications that require precise tolerances and fine finishes. From simple pins to complex components, our customers rely on us to deliver accuracy. We have up to 10-axis capability, regularly holding tolerances to .000020”. Our components are used in a variety of applications such as medical implants, semiconductor processing equipment, petrochemical industry valves, flu vaccine manufacturing machines, and liquid chromatography equipment. 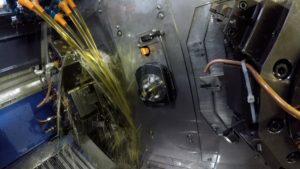 The advantage that AccuRounds provides is our wide variety of CNC Swiss equipment coupled with our many years of experience. 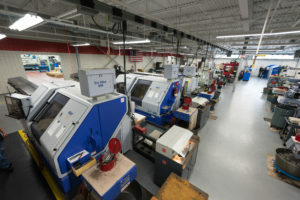 With wire-fed machines and micro-machining, our shop floor can provide the exact solution for today’s technically challenging manufacturing needs.